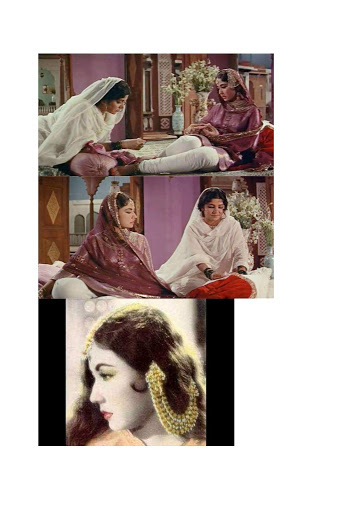 I started collecting pictures of Umrao Jaan. But then I don’t know which photo is to be deleted from this collection. Rekha: how can we describe her?? On the eve of New year I saw on the Star Plus Channel that Rekha ji was honoured with LifeTime Achievement award at StarScreenAward Function held some time back. Amazingly She danced at her old song with full vigour. (at this age) She was full of grace. Just saw a tweet about Rekha ji honoured with lifetime achievement award at a function named #SansuiColorsStardustAwards. it was presented by the Javed Akhtar ji and Shabana Azmi ji. How one can describe Rekha ji and her journey in films. She started as a novice and at very young age. Given the circumstances of family she had to act in films. it is heartening and sad that young teen was not given any option, she had to sacrifice all her freedom for employment. As we know through media She had a troubled childhood. Now days media and internet has given opportunity to a seeker of information. But her immediate family must have struggled to survive in this harsh world. She groomed herself and became a star on her own, she created a style. If i can say so she is evergreen glittering star. She blossomed into a matured artists as evident from few of her films. 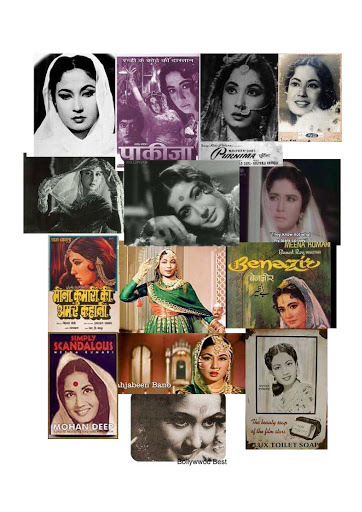 Khoobsoorat, Umrao Jaan, Utsav to name few. She created magic on screen. 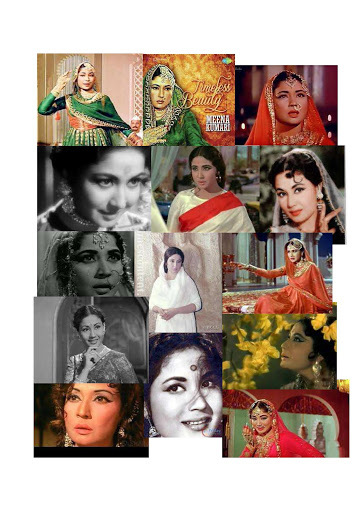 The other star which i liked before Umrao Jaan was Meena Kumari ji. I am a confirmed fan of Smt Meena Kumari ji. In childhood i epitomized her. Her portrayal of emotions was superb on screen. Whenever she cried on screen i felt same and whenever she felt angry anguish or she felt pain, i also felt the same pain, such was the connection with her onscreen persona. She was a star bigger than the screen. She immortalized the roles she played/acted in films. But when i saw Umrao Jaan i was totally mesmerized by the sheer color, dazzling costumes, immortal music and more over the seriousness by which Rekha ji enacted the role on screen. Many times she herself had confirmed that it was UmraoJaan that discovered Rekha. 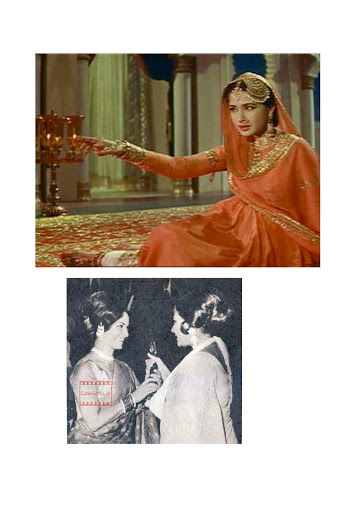 Rekha and UmraoJaan became synonymous to each other. It was brilliance of Shri Muzafar Ali, the Raja of Kotwara that brilliance of Rekha ji came out so well on screen as Umrao Jaan. The film story, editing, music played the key role. And story itself was from my city Lucknow thus i became fan of the film as well. It is really a mystery that how she has groomed herself from her first film to the present day. in these years many opportunities came to her. She carried her charm despite of UPs and Downs in life. Each of these frames speak in volume about her skills of emoting. For that she got the award for UMRAO JAAN. then this film Utsav happened and for me no other star could have been more suited for this role other than Rekha ji. in spite of good music well researched this film’s music could not spell magic as Umrao Jaan did. Though the songs bela mahka ri mahka dil kyo bahka and others were superb songs. But still i feel more music with dhrupad elements for dance could have been shown in this film as somehow this film centered around a courtesan. a dancer.